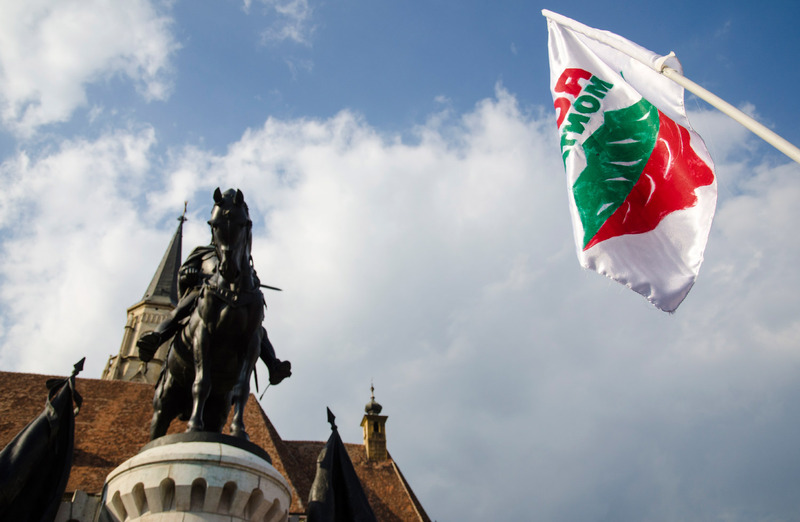 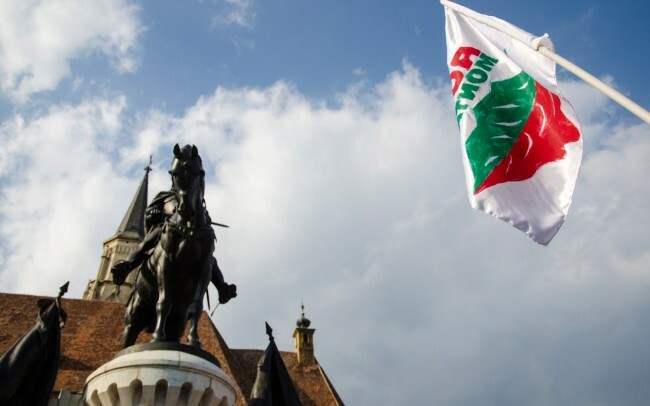 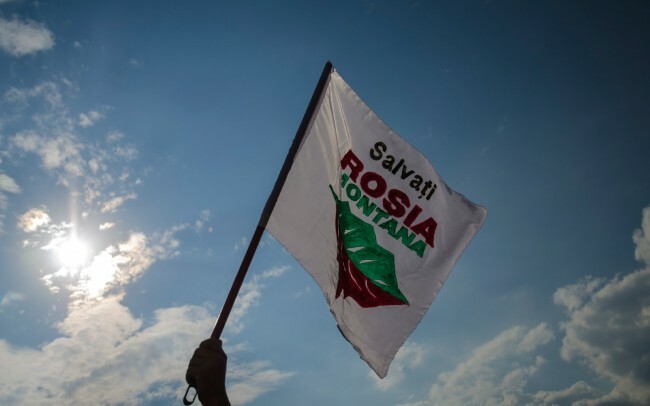 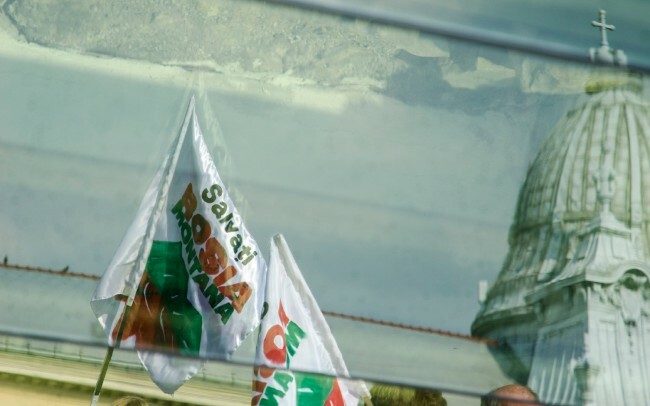 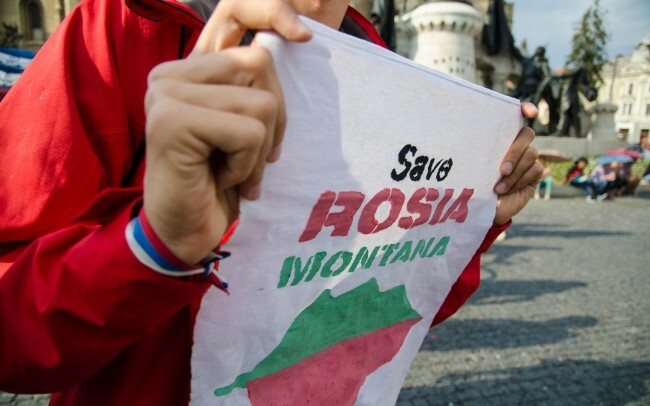 On Tuesday, the project for exploiting Rosia Montana was approved by the government. 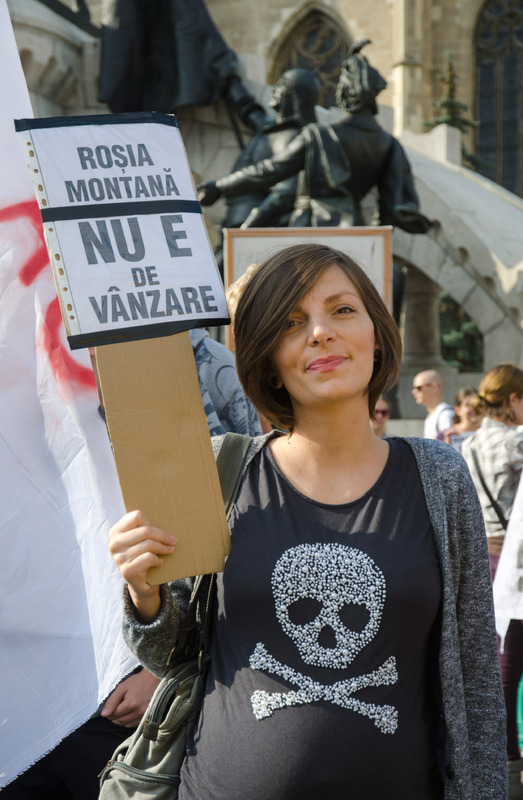 The Canadian gold mine project will use 12.000 tones of cyanide a year in a leaching process, 12 times the amount used for mining gold in the whole Europe according to 2011 figures. 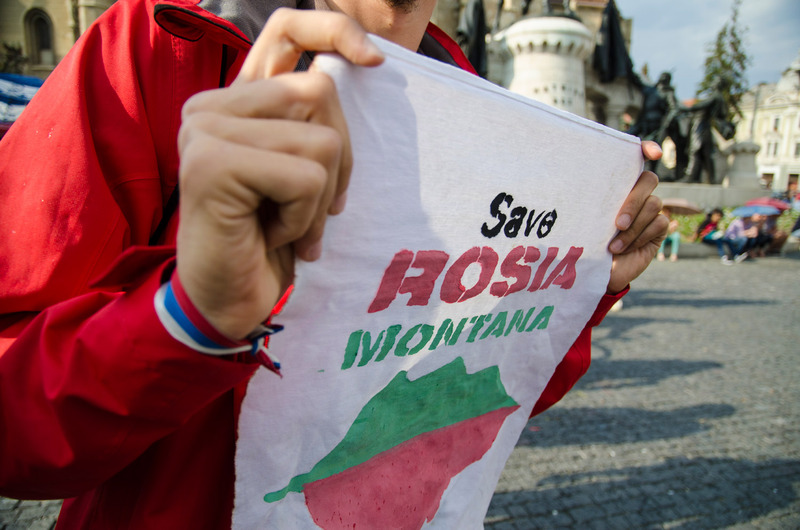 The four mountains that surround the village will be partially destroyed and the Roman galleries which are unique in Europe will be damaged in the process. 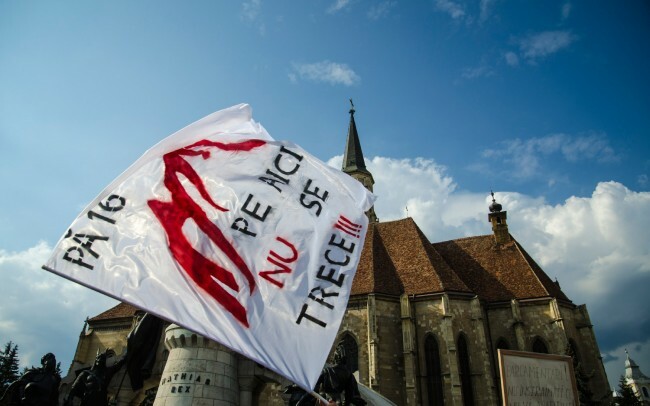 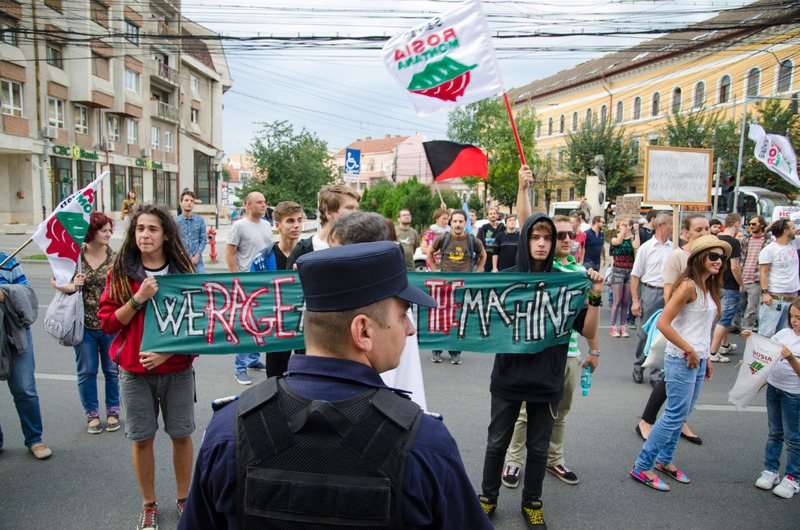 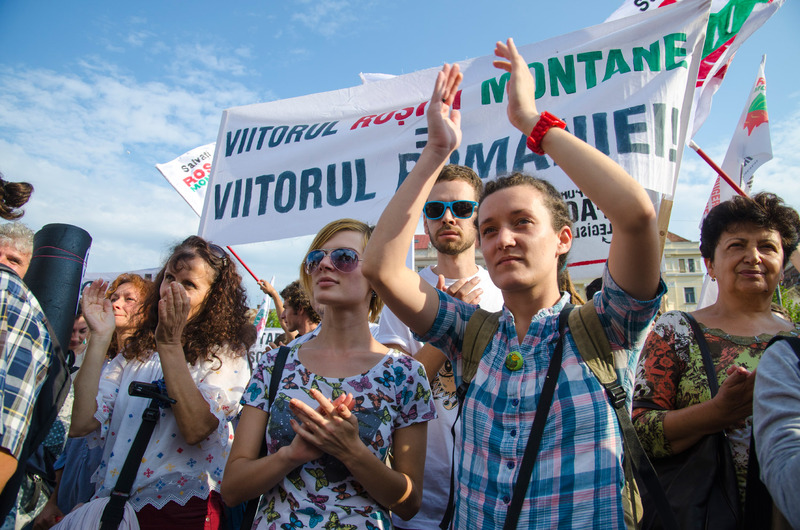 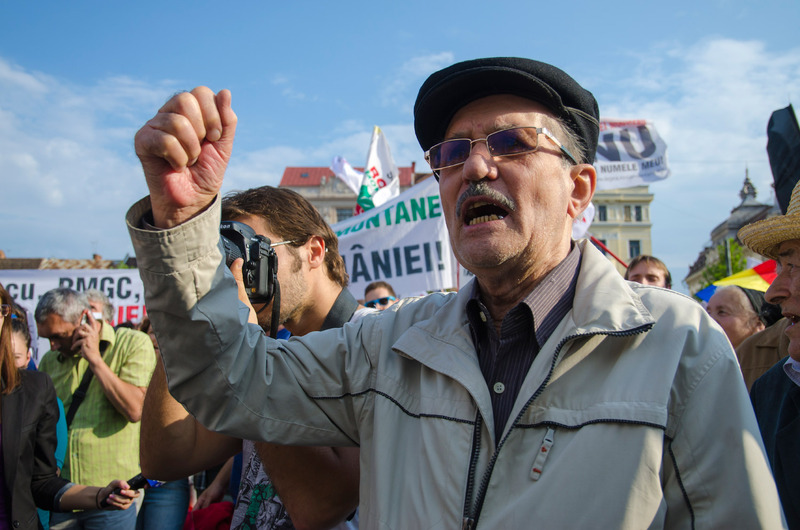 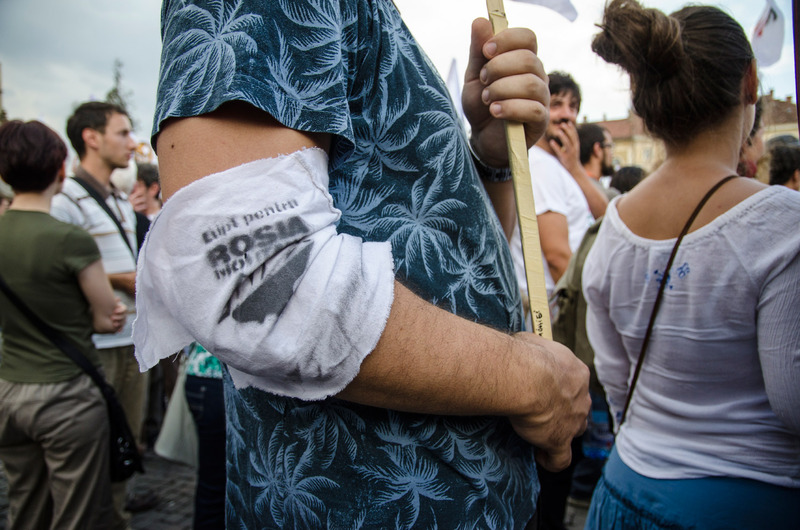 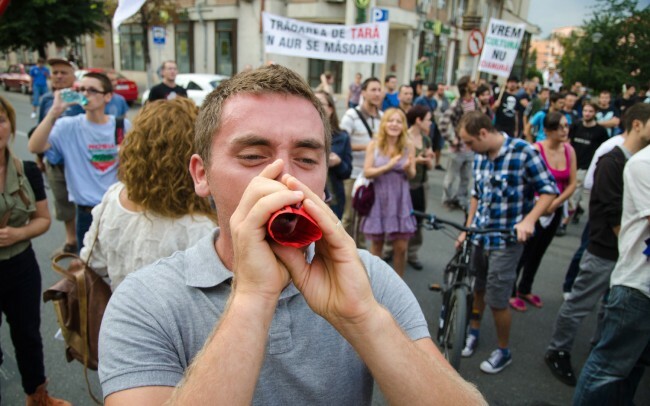 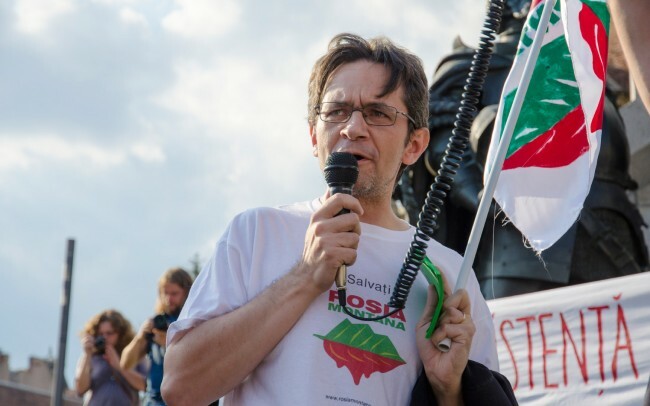 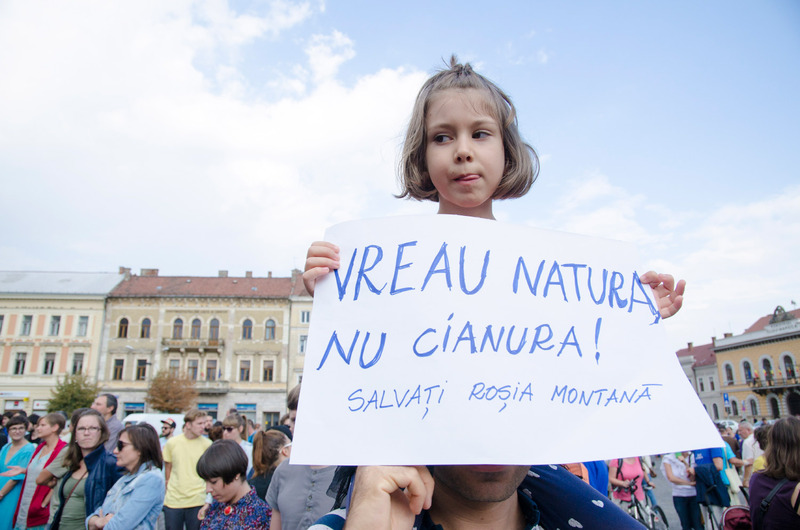 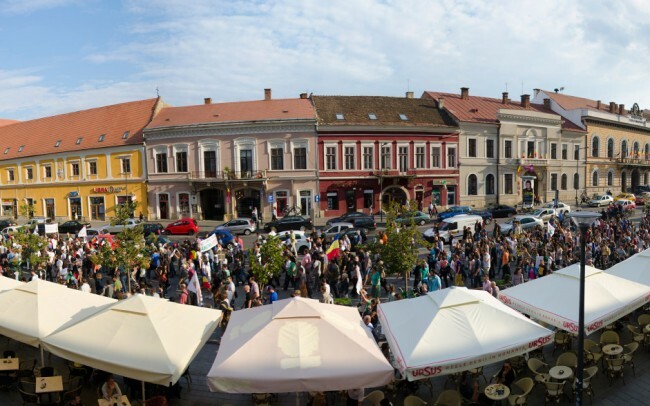 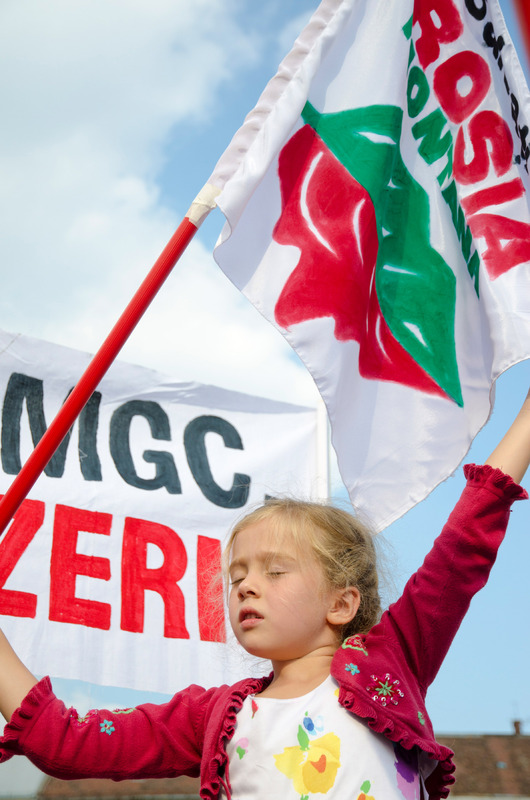 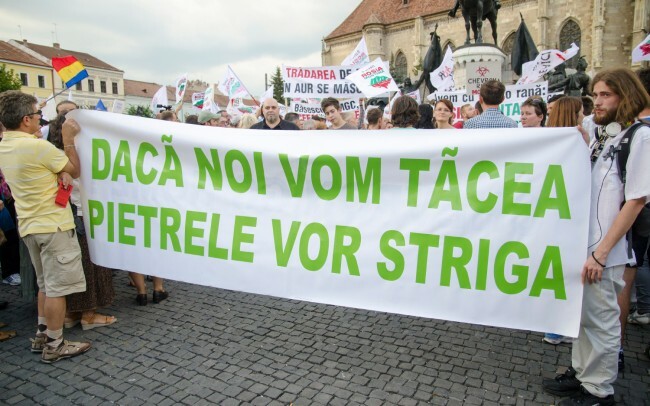 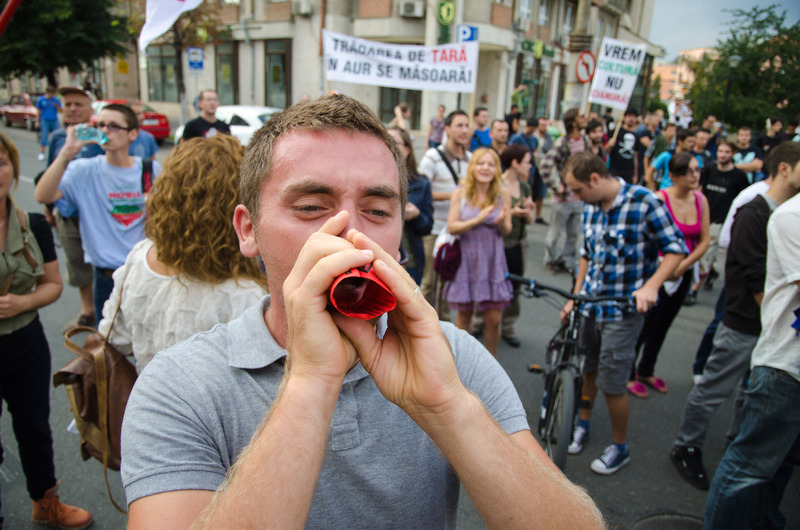 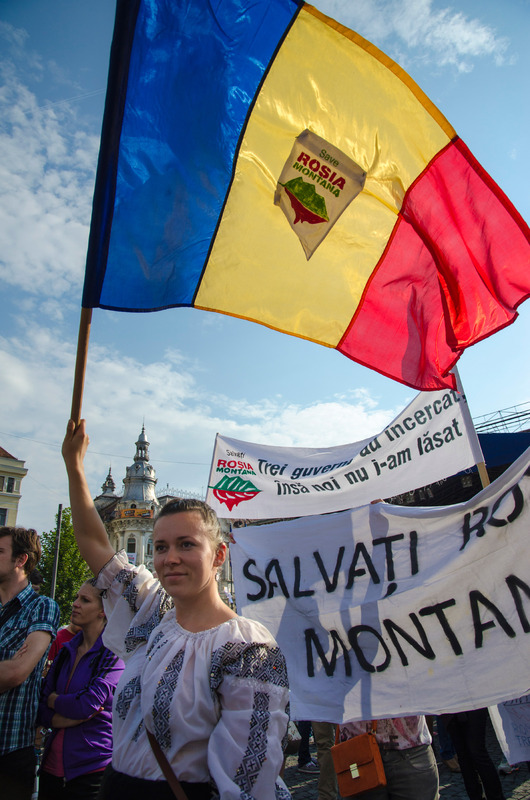 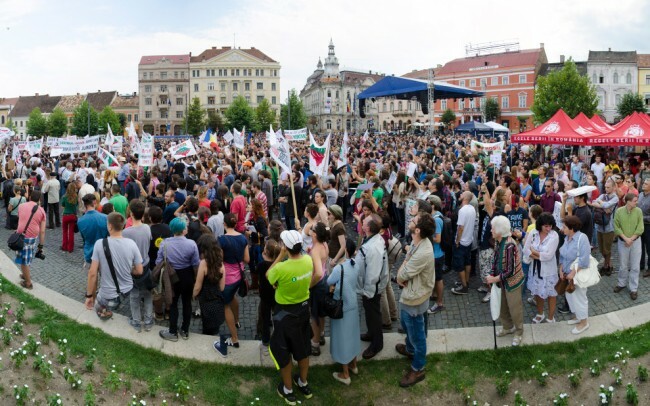 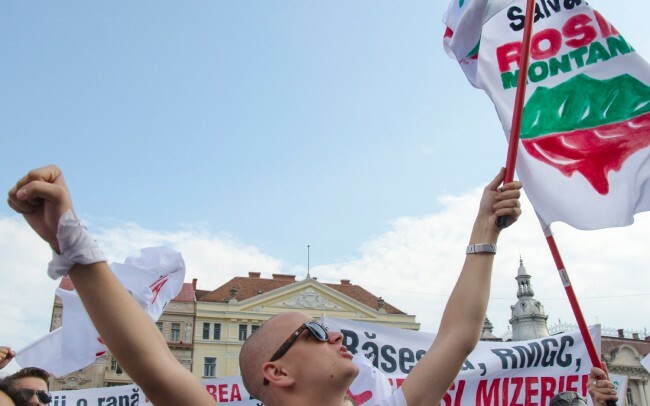 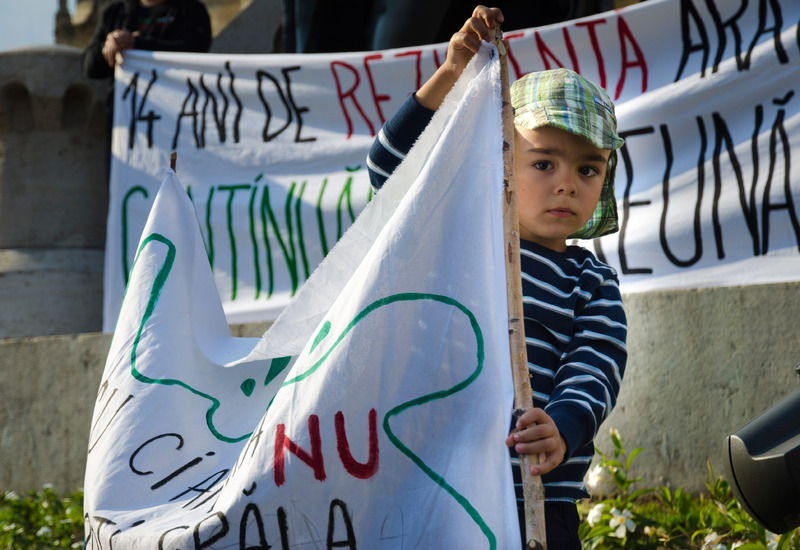 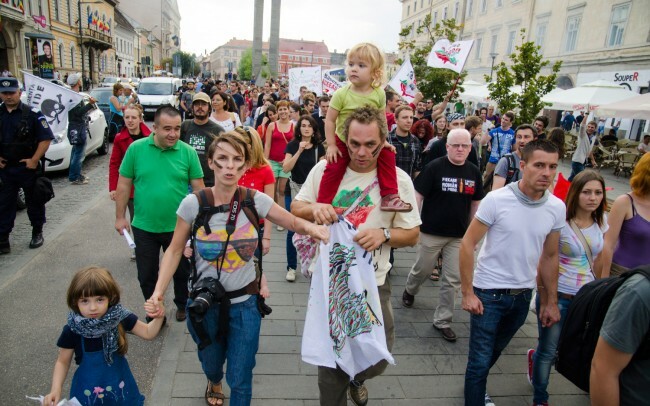 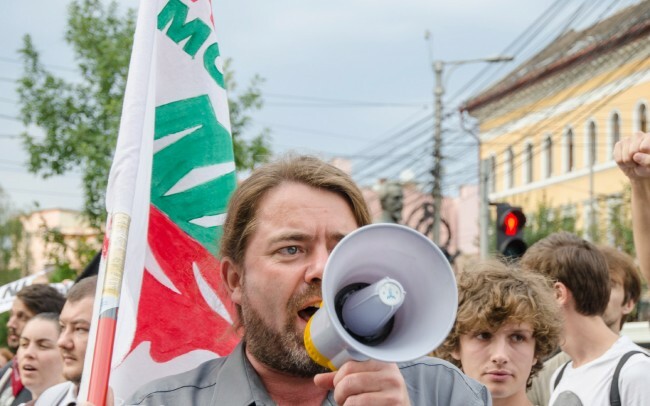 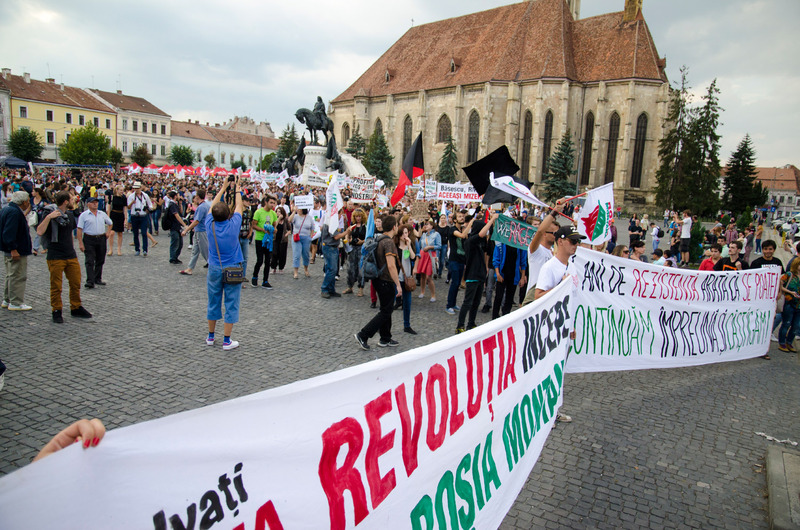 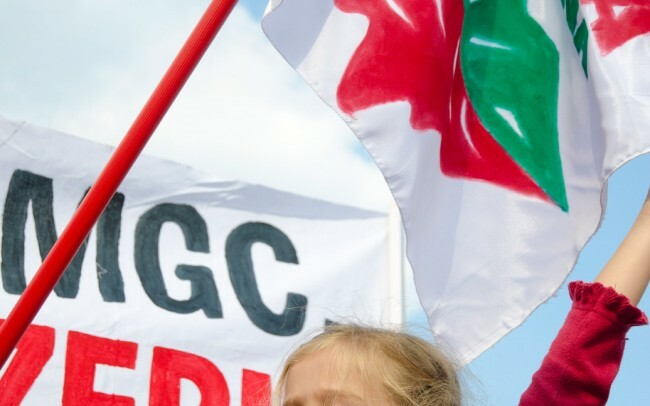 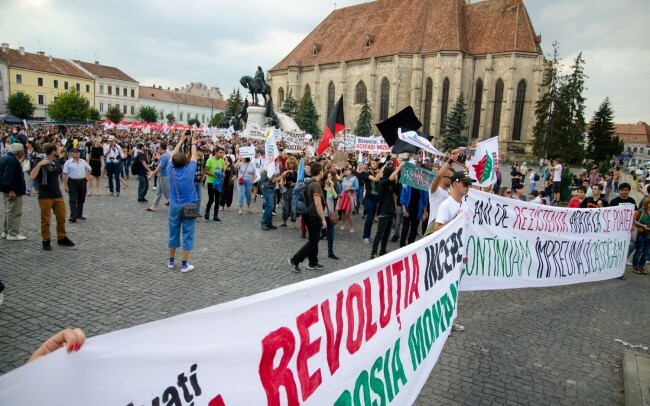 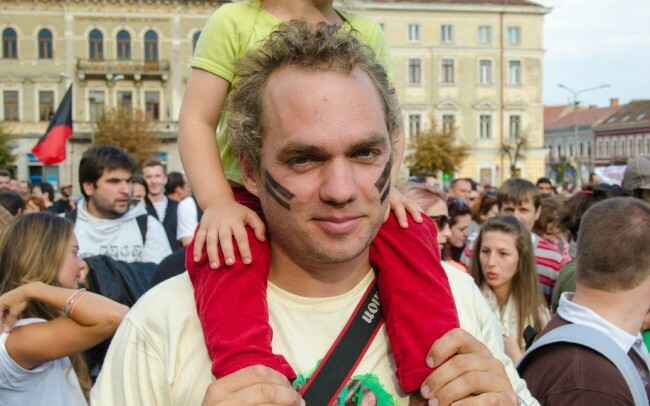 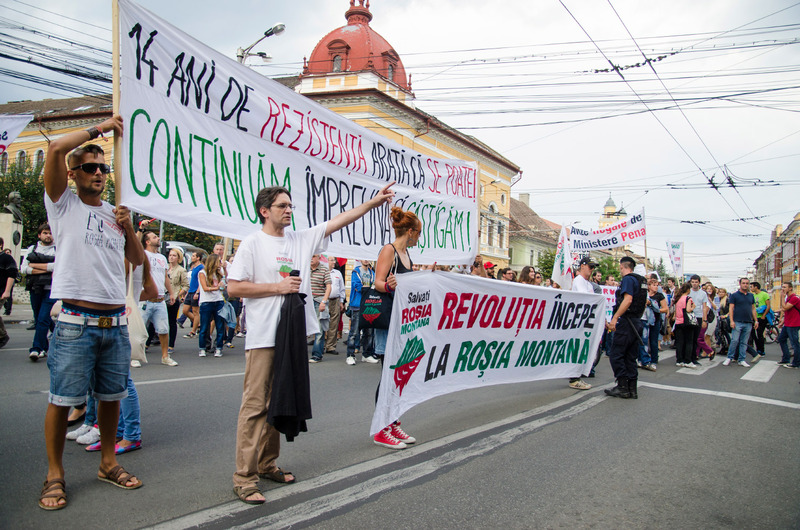 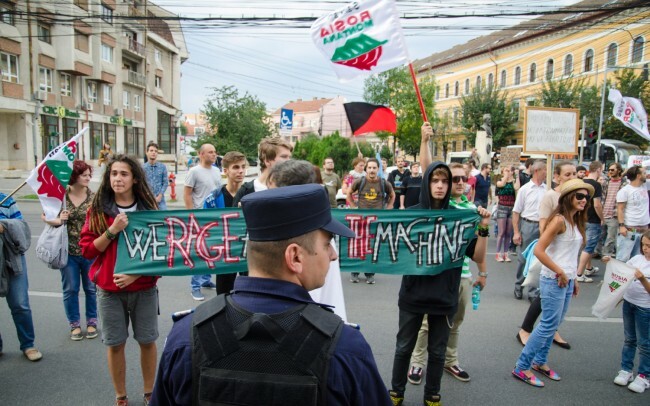 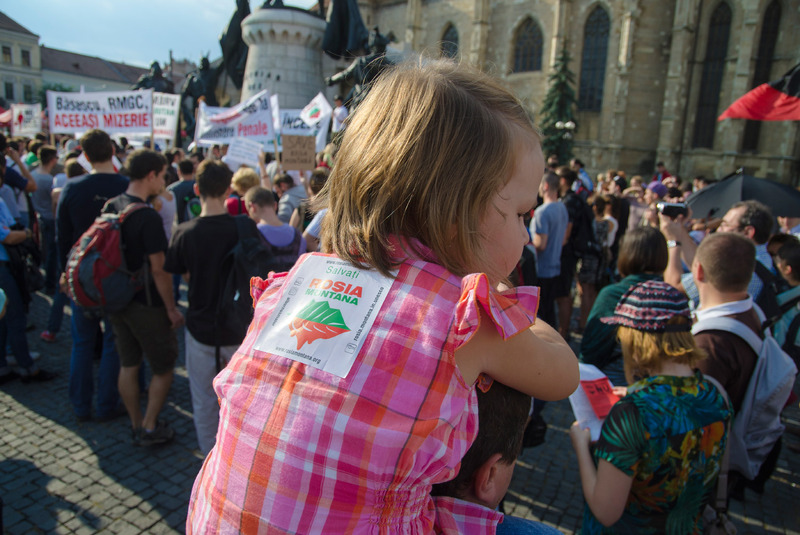 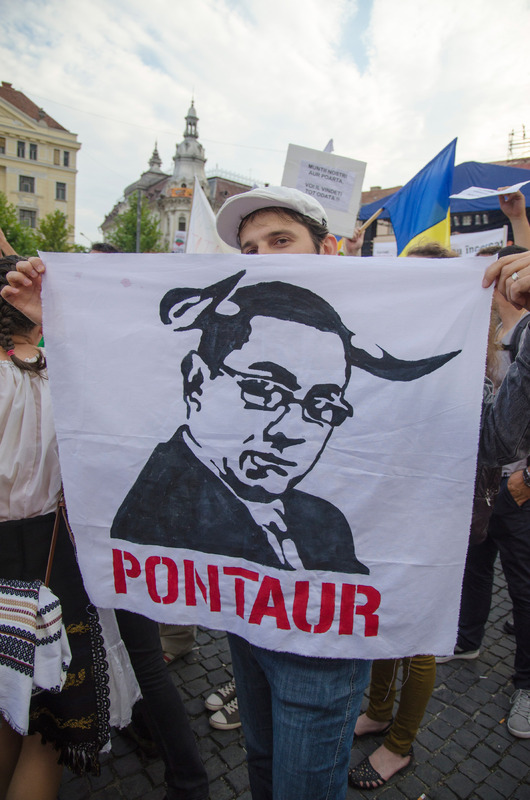 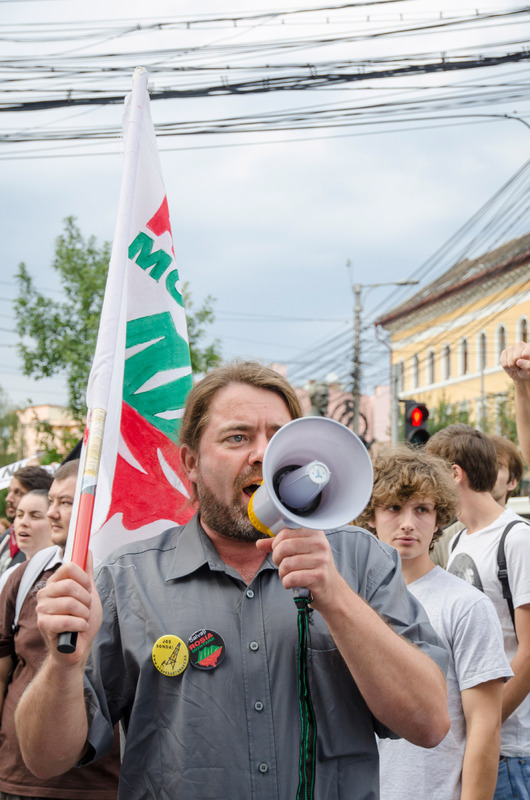 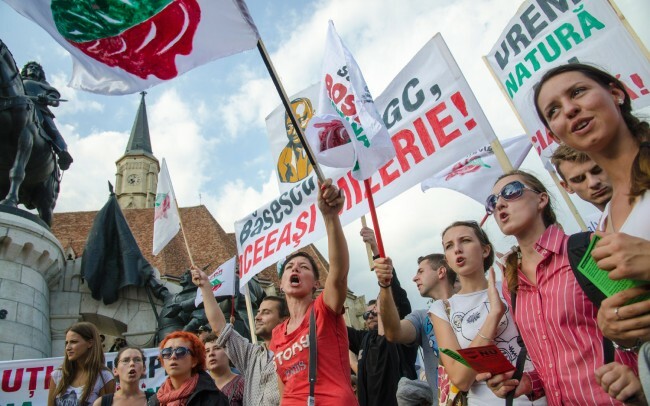 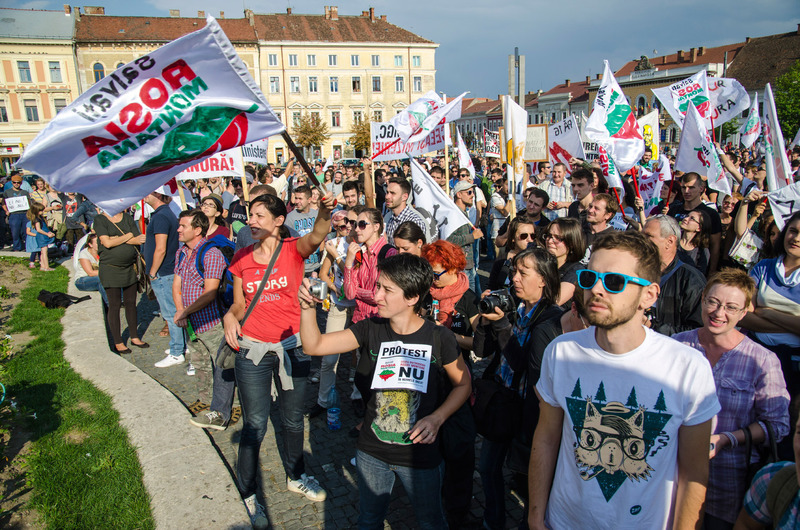 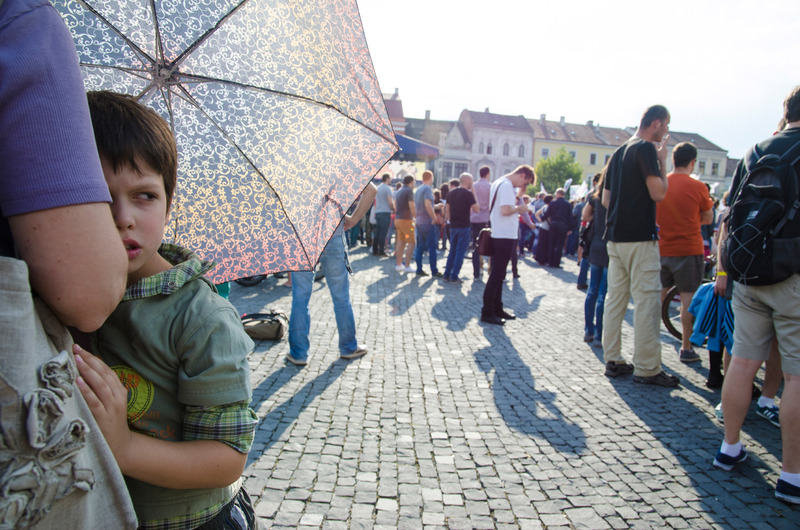 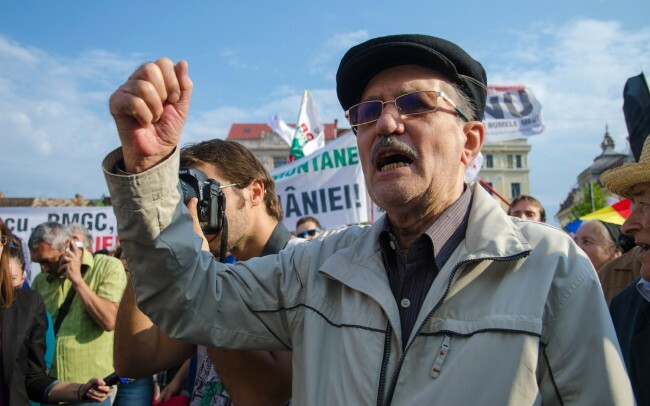 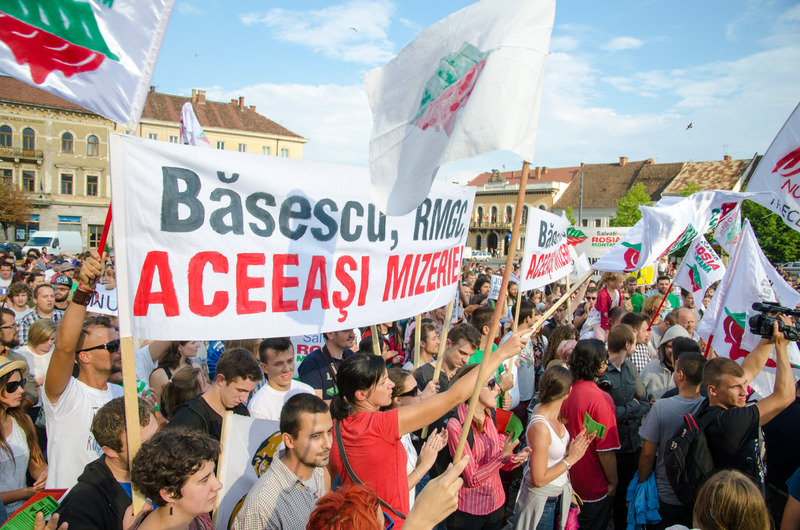 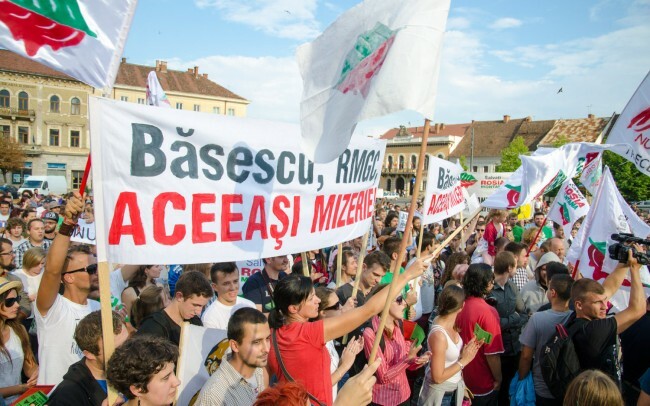 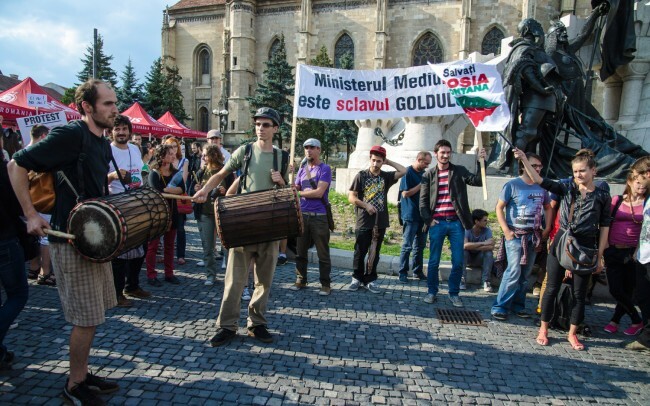 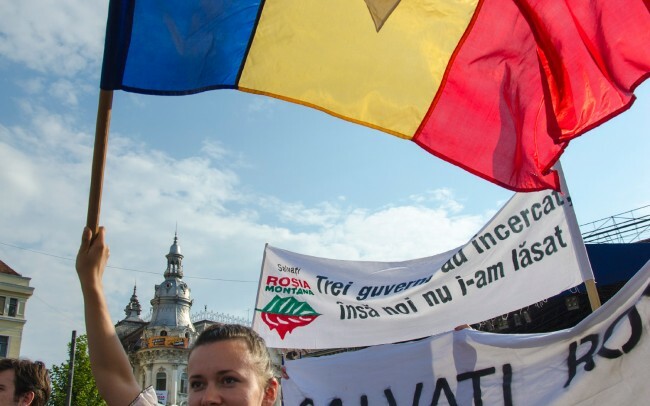 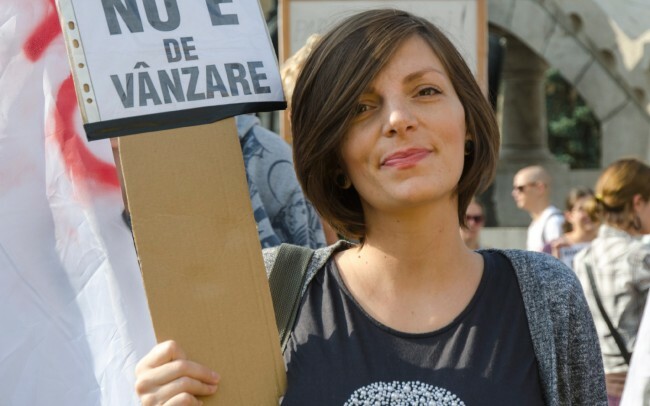 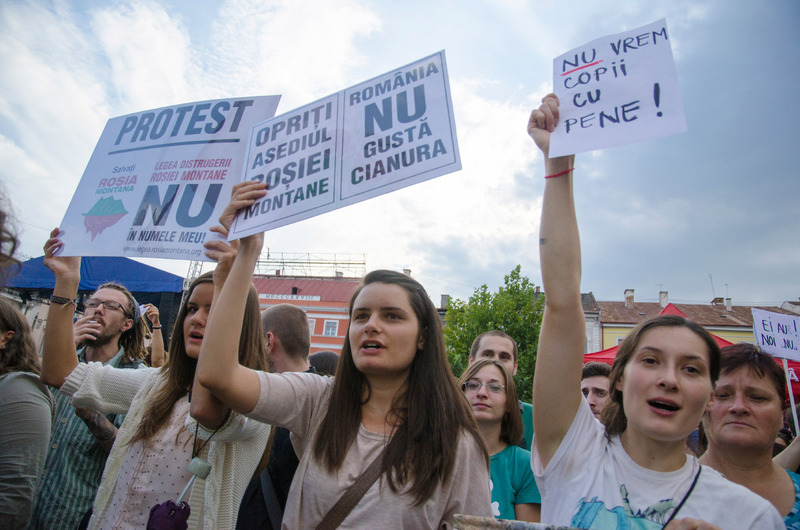 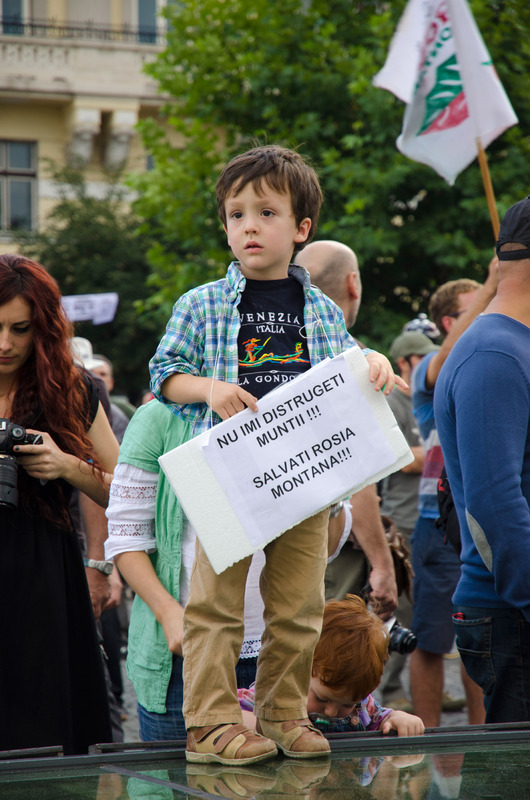 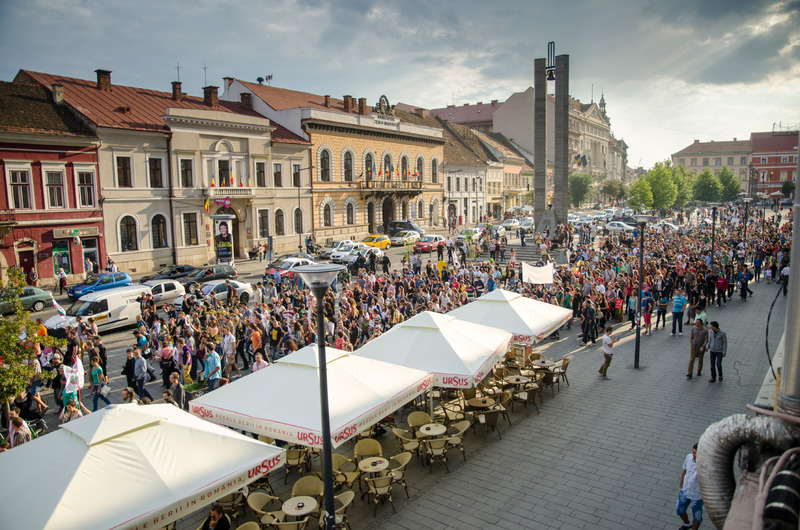 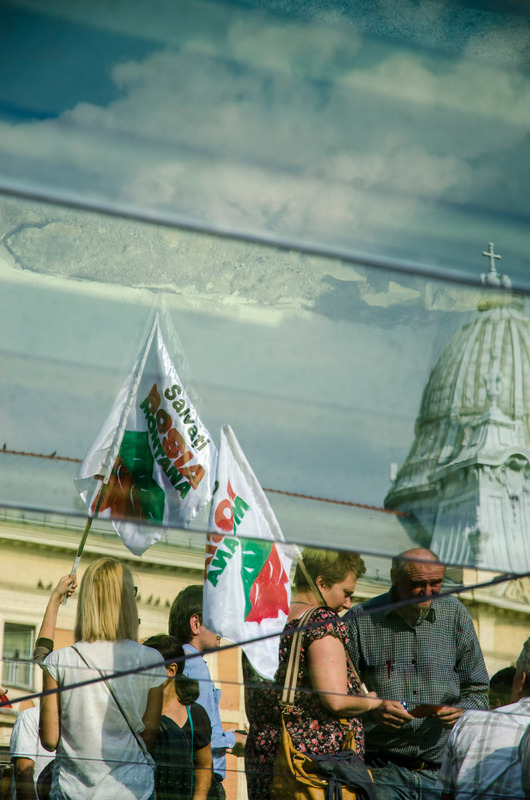 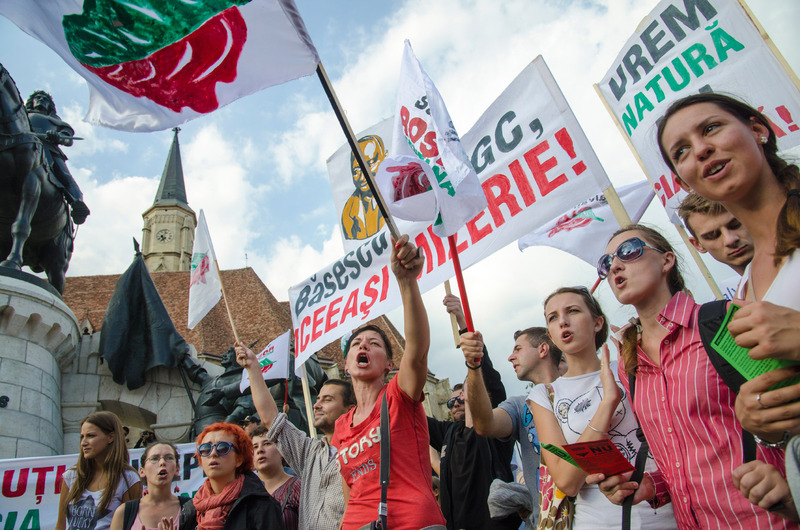 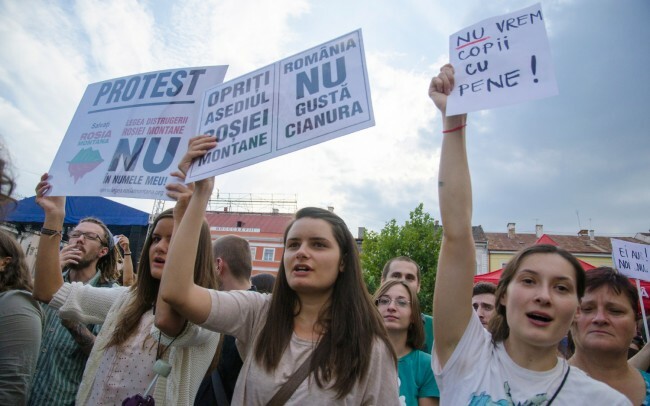 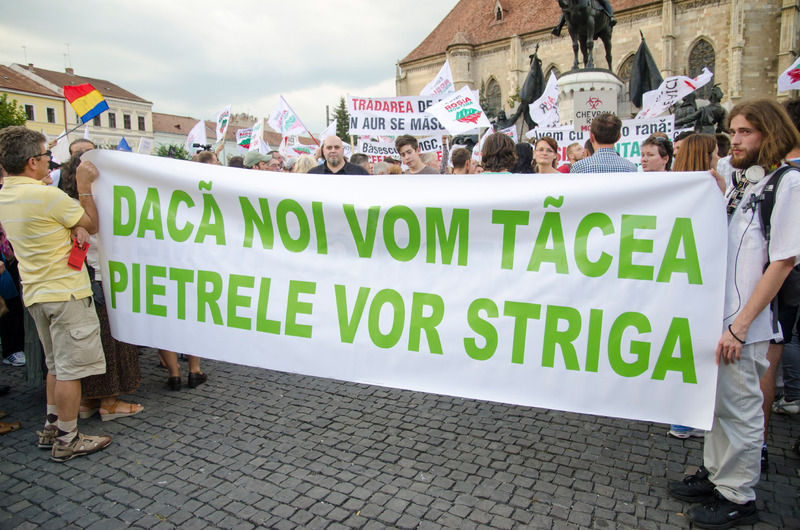 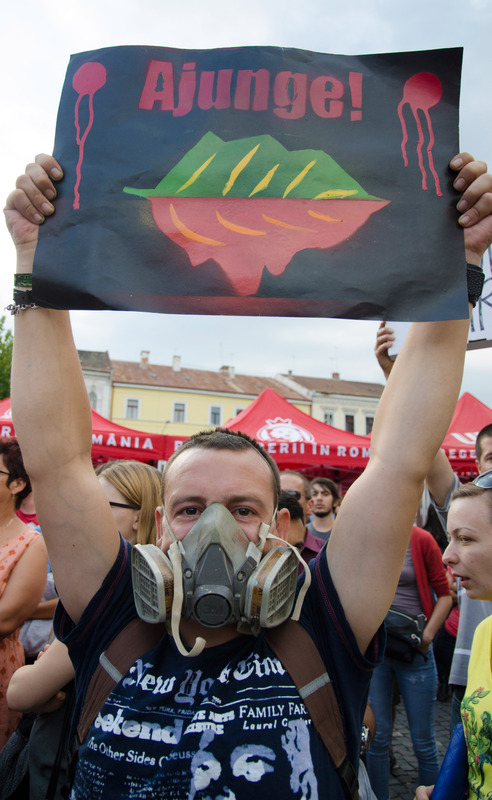 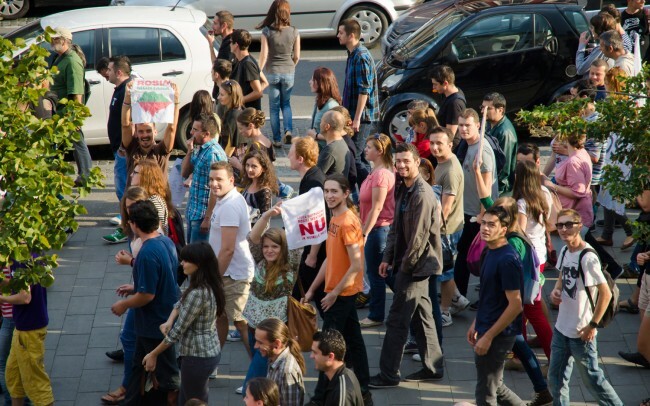 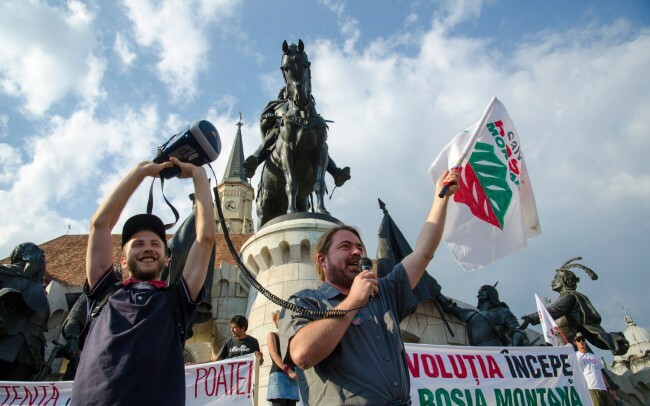 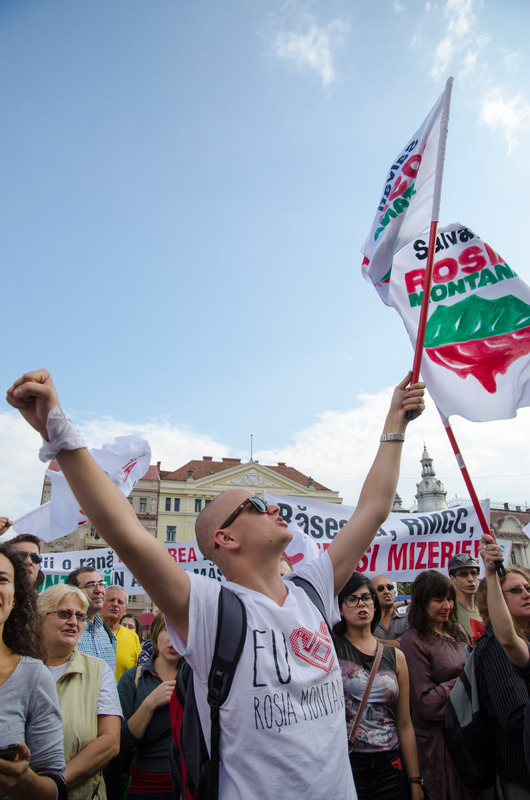 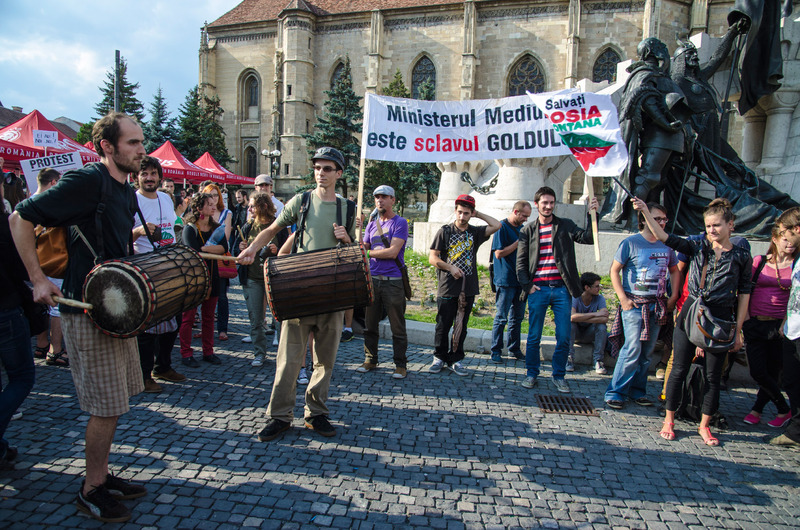 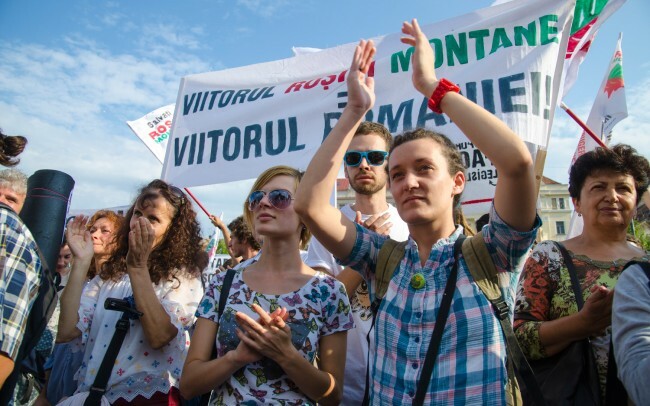 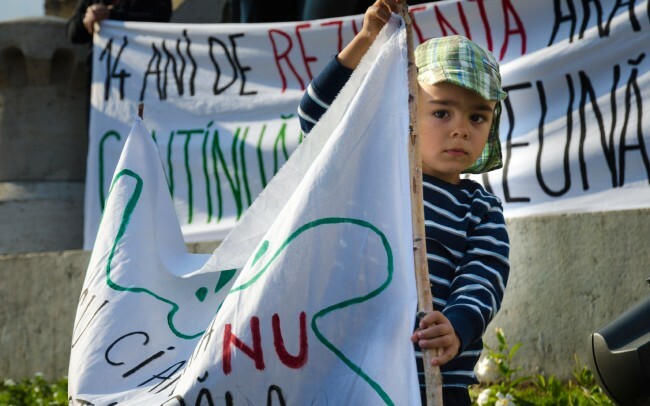 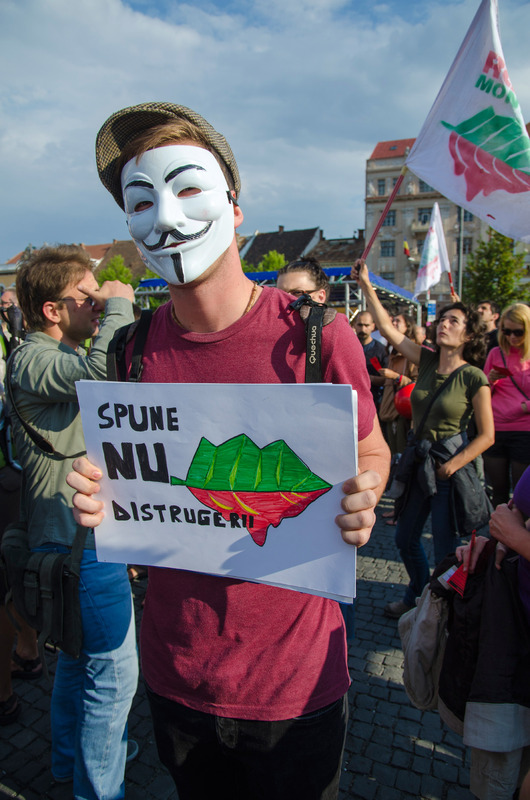 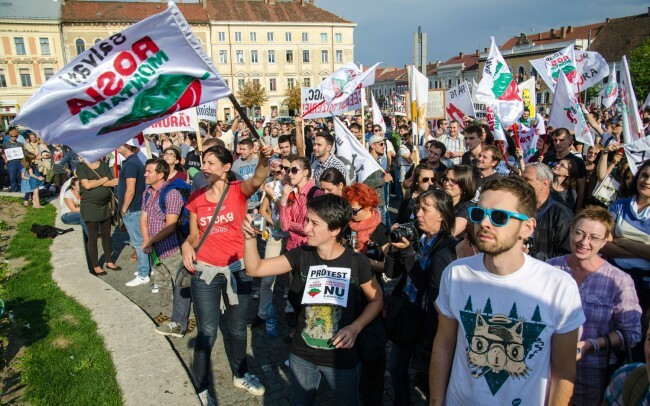 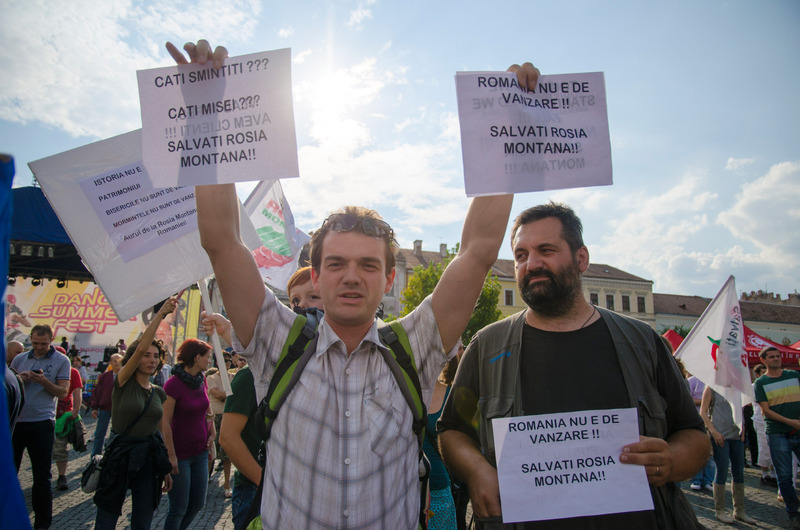 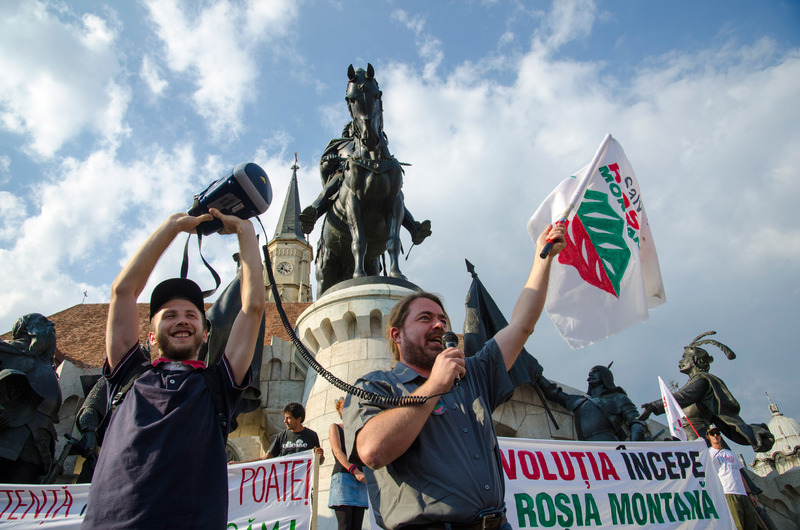 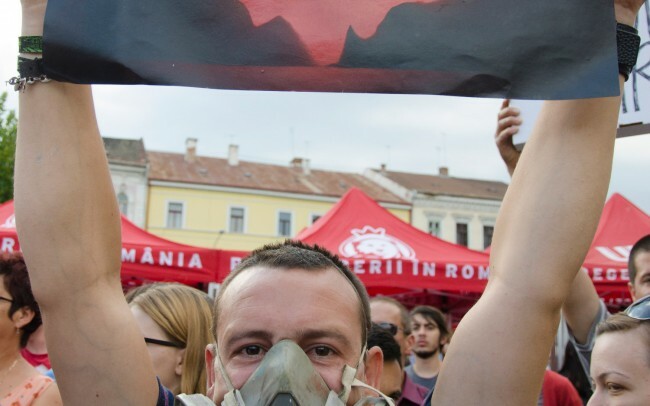 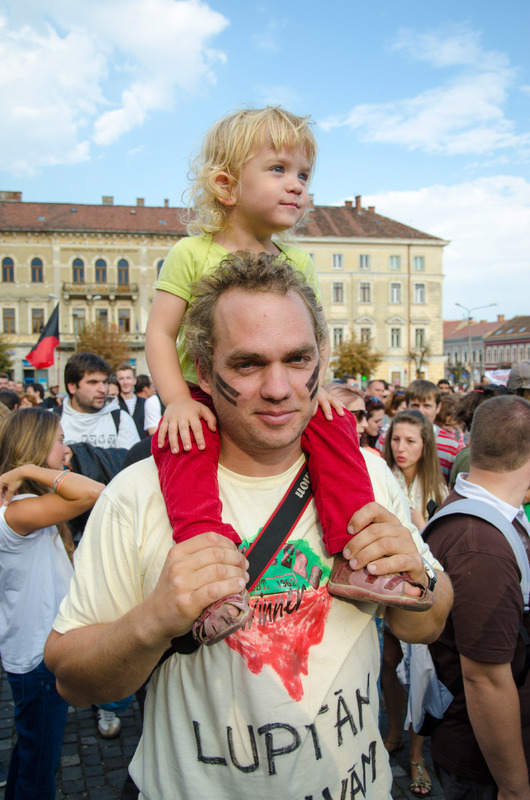 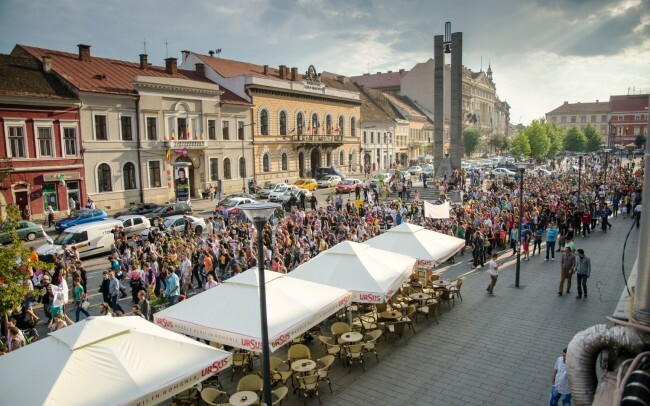 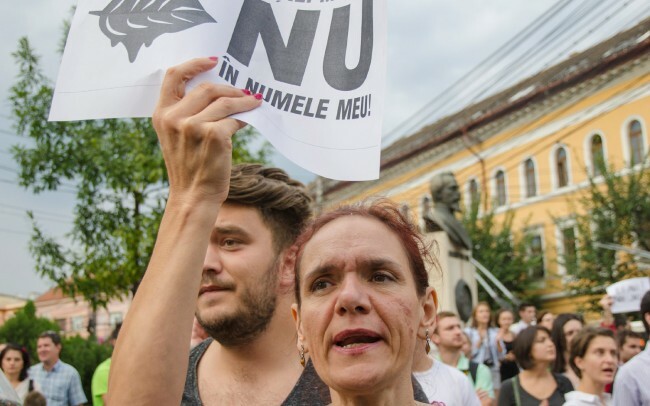 Over 2500 people gathered today at 5 pm in the Union Square in Cluj-Napoca to protest against the Rosia Montana exploitation project. 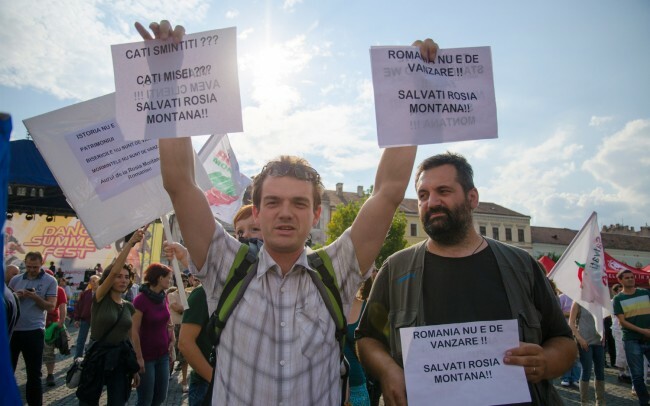 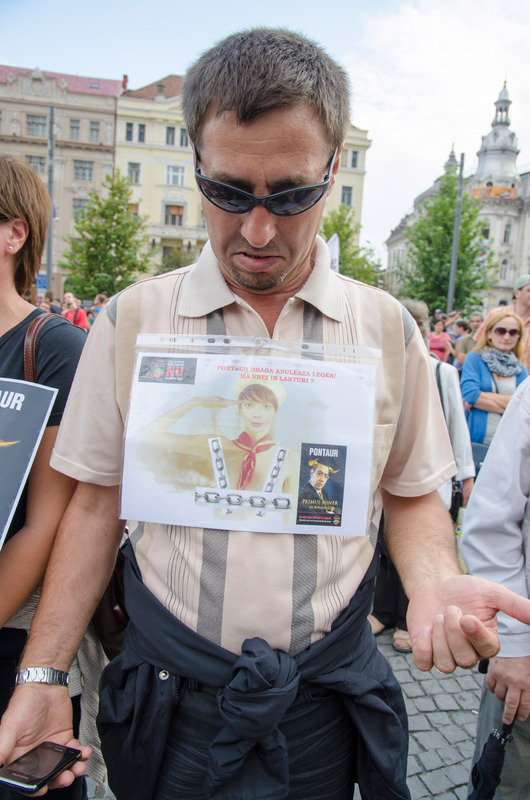 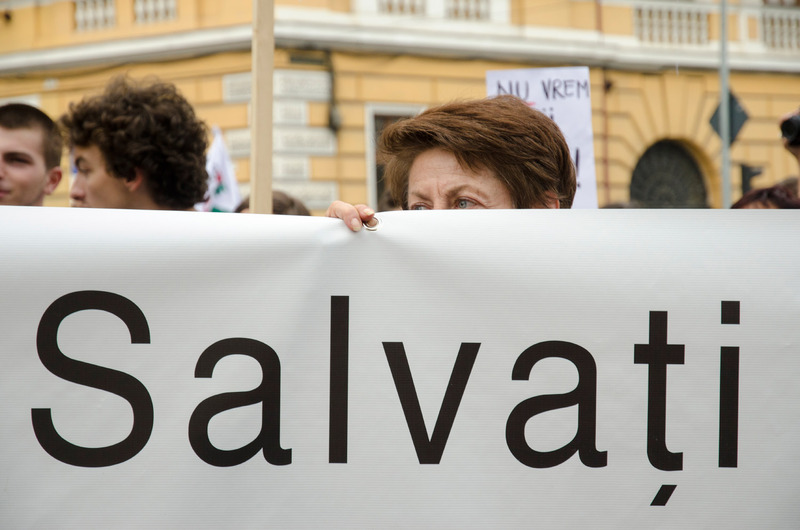 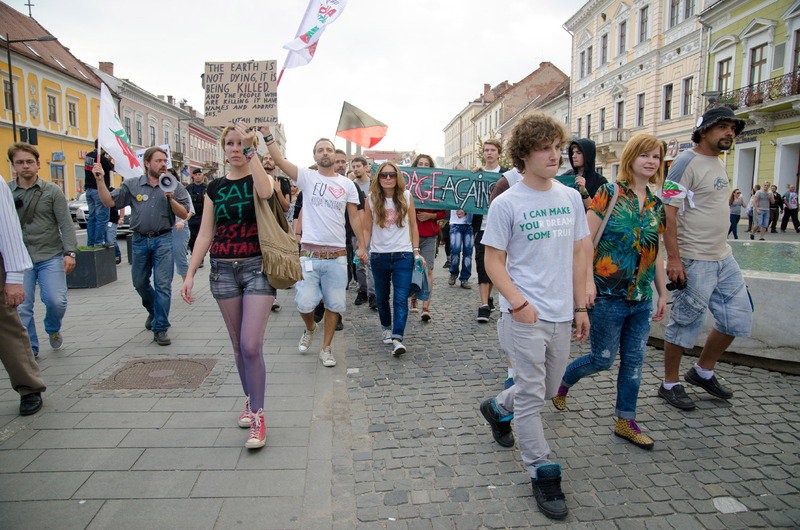 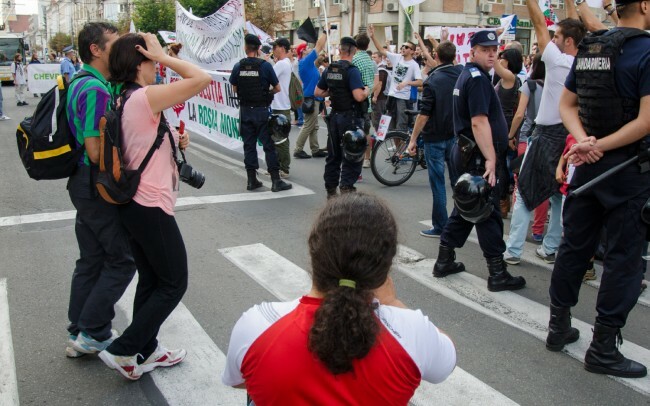 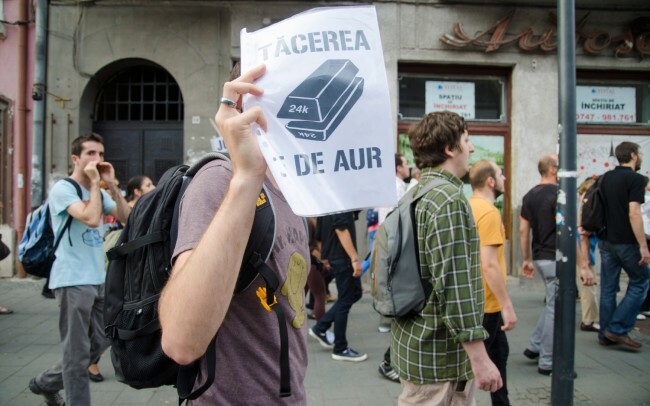 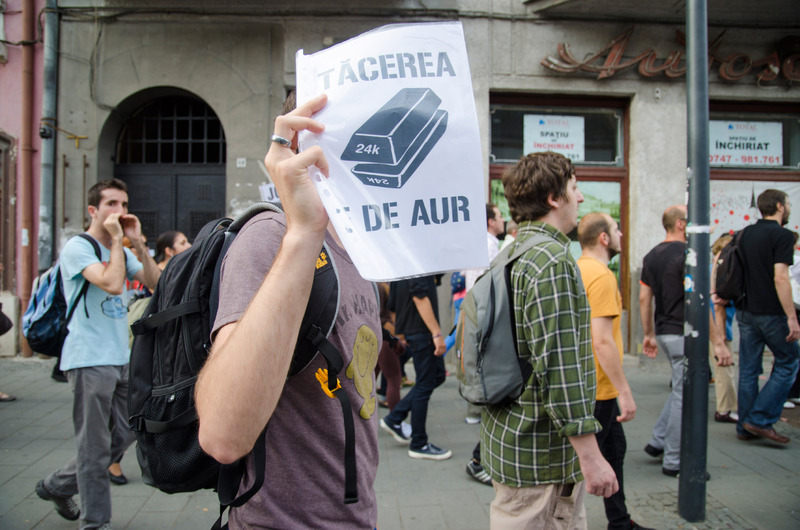 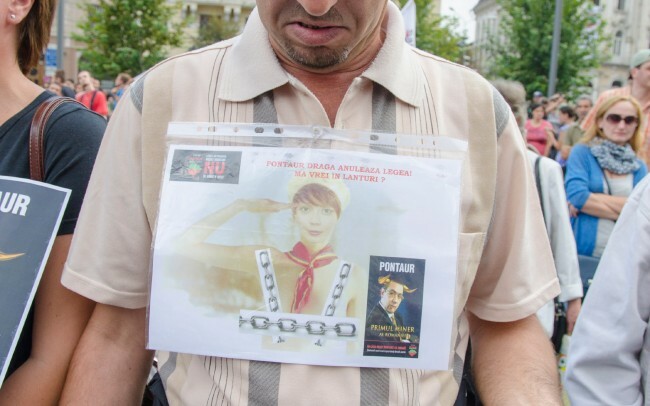 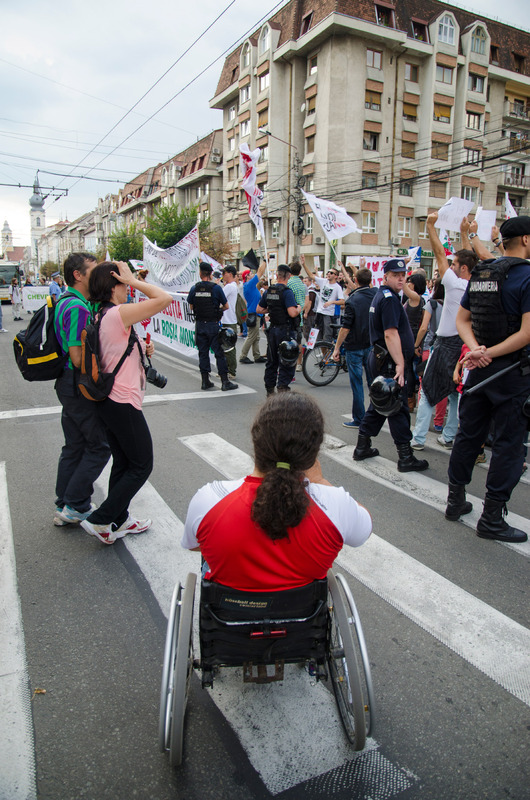 This action took place in 27 cities from Romania and not only. Citizens from Rome, Paris, Berlin and other 19 cities from Europe and two from USA decided to gather for this purpose. 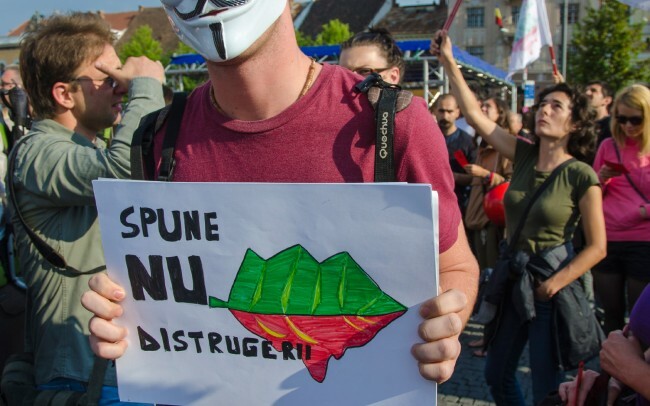 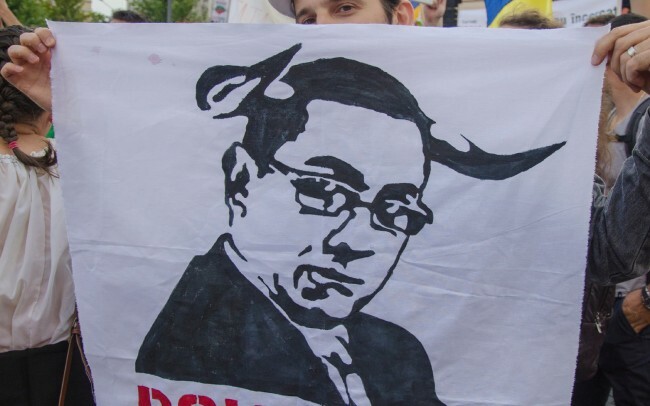 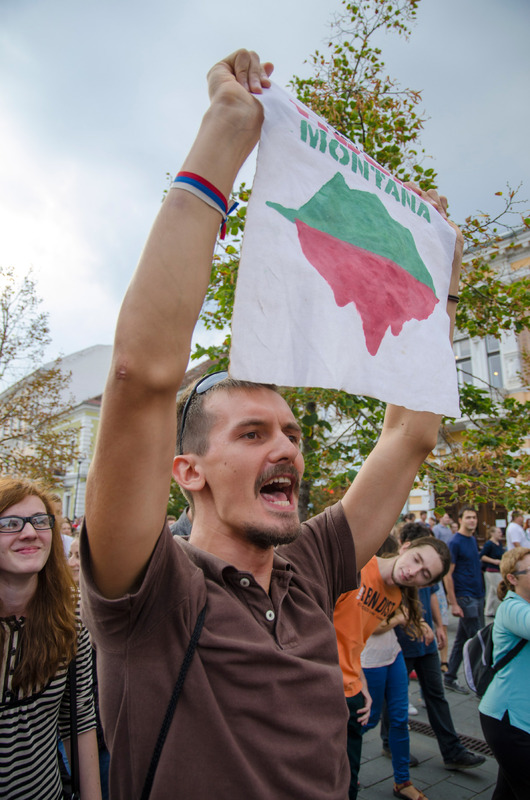 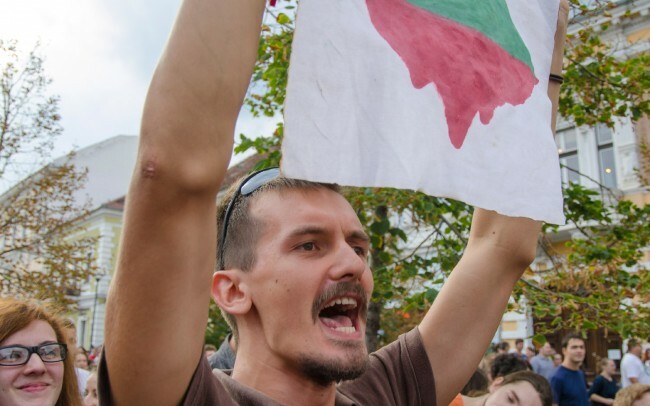 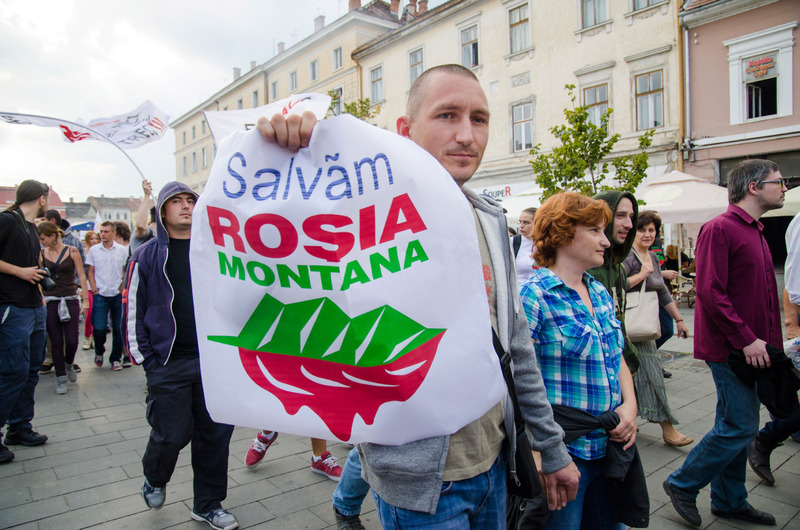 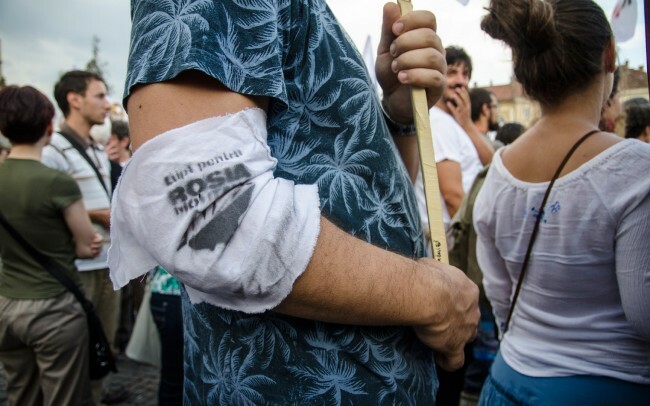 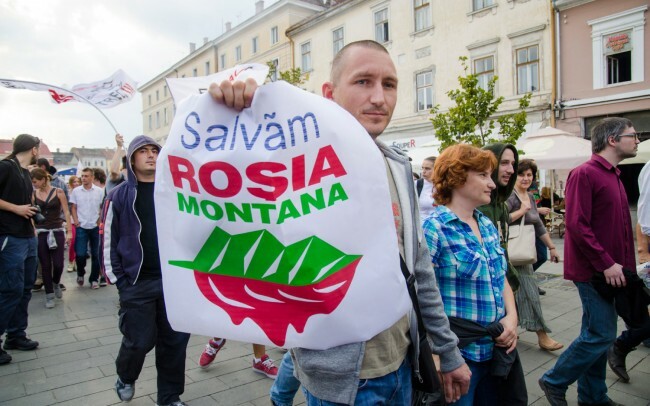 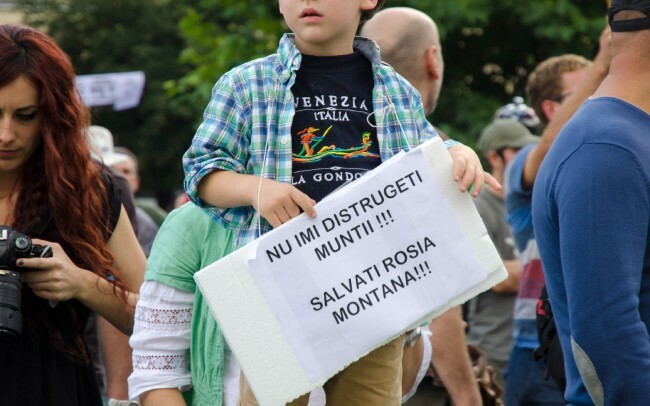 People wrote on their banners things like: “The revolution starts at Rosia Montana”, “Gold belongs to the Earth” and they shouted: “We want nature not cyanide”, “Down with the government” and many other things. 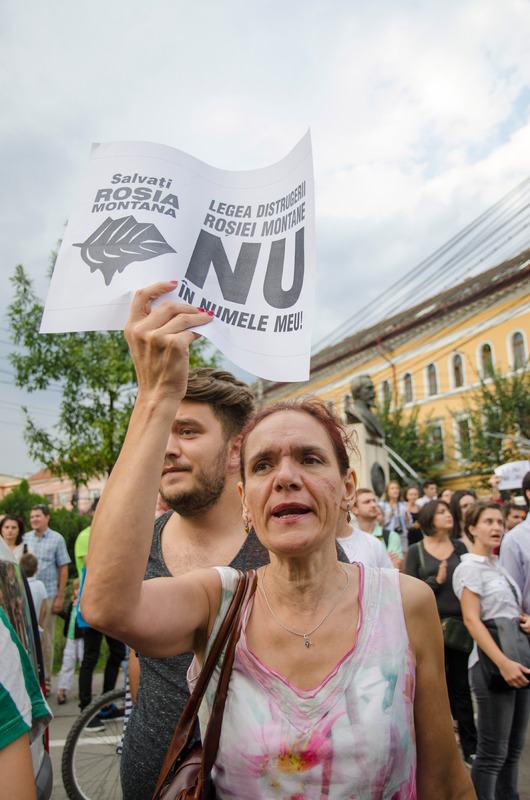 From the Union Square, they walked to the Prefecture where they stopped for about 20 minutes and then continued their march back where they started. 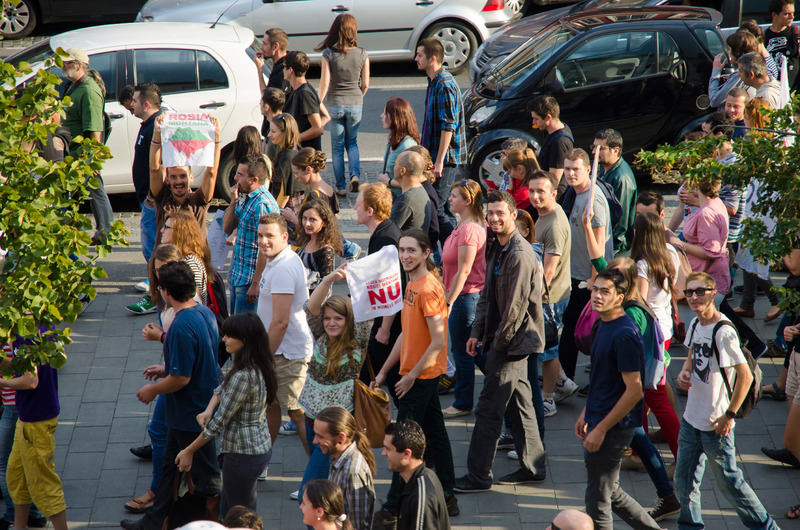 By the end there were over 4500 people in the Union Square.